Tisa Bryant makes work that often traverses the boundaries of genre, culture and history. Unexplained Presence (Leon Works, 2007), her first full-length book, is a collection of original, hybrid essays that remix narratives from film, literature and visual arts and zoom in on the black presences operating within them. Bryant’s writing has appeared in Evening Will Come, Mandorla, Mixed Blood, in the ‘zine, Universal Remote: Meditations on the Absence of Michael Jacksonand in the catalogues and solo shows of visual artists Laylah Ali, Jaime Cortez, Wura-Natasha Ogunji and Cauleen Smith. She is co-editor, with Ernest Hardy, of War Diaries, from AIDS Project Los Angeles, which was nominated Best LGBTQ anthology by the LAMBDA Literary Awards. 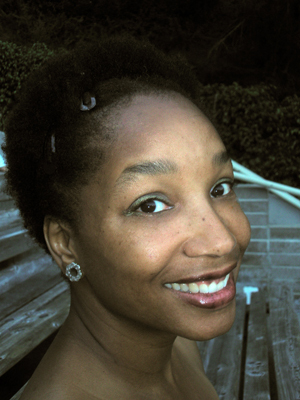 She is also co-editor/publisher of the hardcover cross-referenced literary/arts series, The Encyclopedia Project.